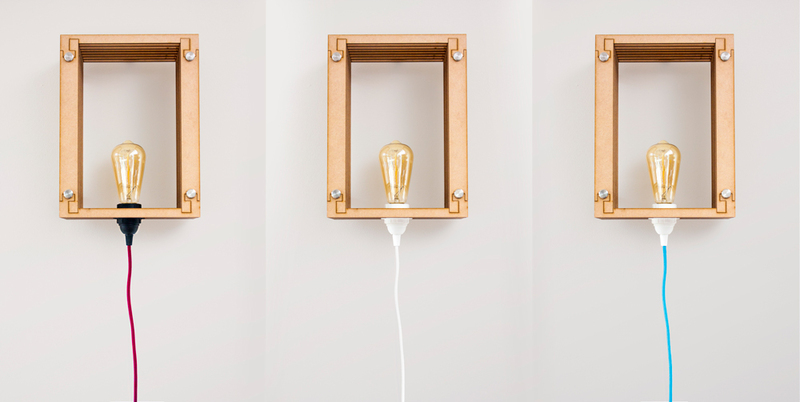 Framed is a minimalistic wall lamp, consisting of laser cut MDF wood and personally finished stainless steel parts. Framed is designed in the Netherlands and emerged from the search to synergy between two creative disciplines: the art of painting and lighting design. 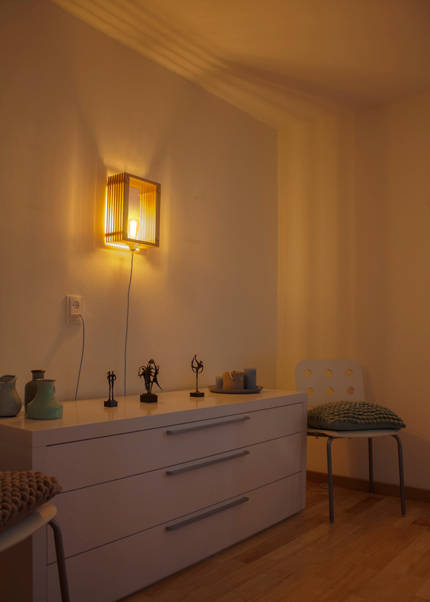 The overall form of the wall lamp symbolizes the painting frame. The eight MDF wood layers symbolizes the different strokes and layers of paint on the canvas and have endured many draft boards, cuts and contortions before having found the perfect proportions and wood joint. 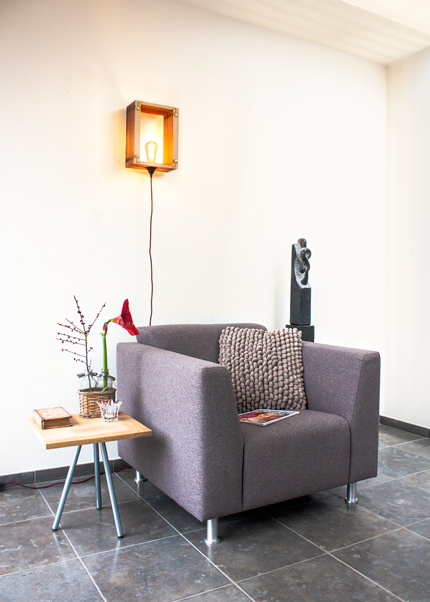 Similar to hanging a painting, Framed is mounted to the wall with an elegant and simplistic stainless steel bracket. Only 30 lamps are made. 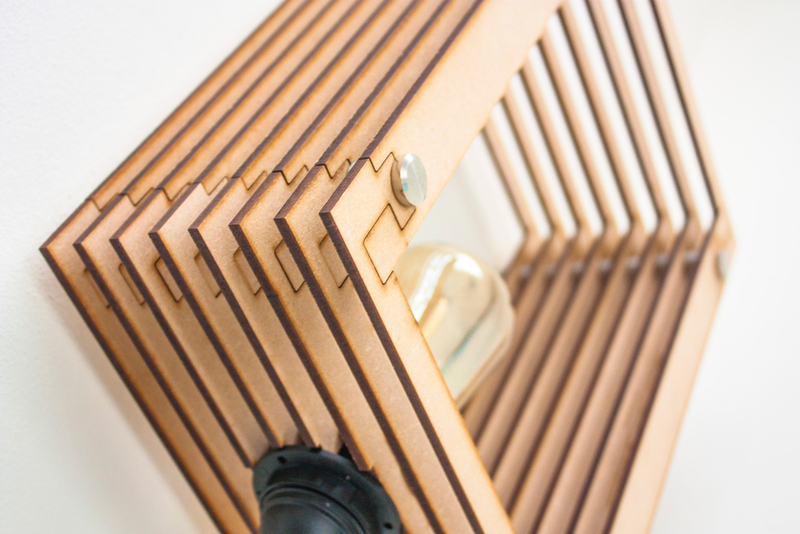 Each lamp is laser engraved with its specific serial number and name of the designer. Three colors for the fabric cables are available: burgundy red, clear white and vivid sky blue. 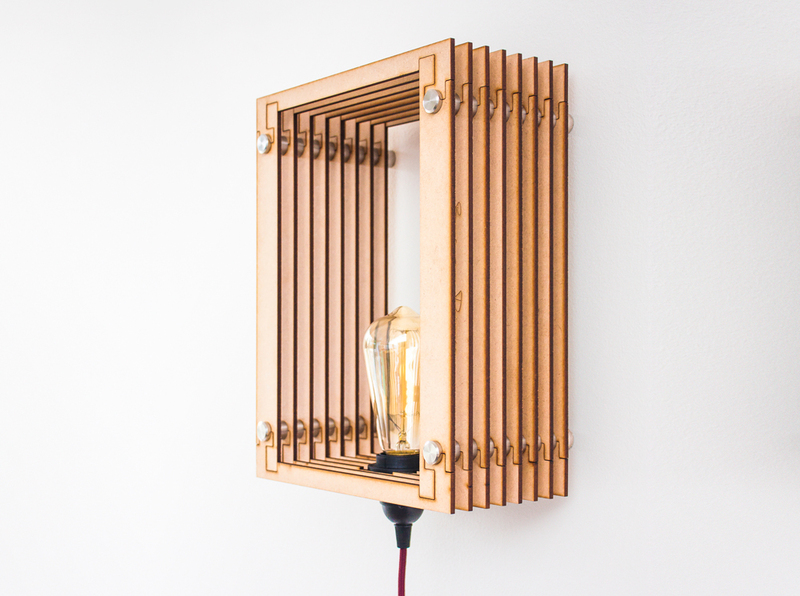 The carbon filament bulb is captured between the eight layers of MDF wood. As a whole, the warm light that escapes through the layers provides a beautiful light pattern on the walls and ceiling. Contact me for sales or re-seller opportunities.